In 2016 Johnson Grow Lights and Northern Grow Lights merged together and founded Horticulture Lighting Group (also called HLG). With the combined expertise and experience HLG designed the first high density modular Light engine for horticulture. Quantum Boards have created a new revolution in the Horticulture Lighting industry by not only improving the efficiency standard of white light in horticulture but also by making efficiency affordable. Started in 2015 and first company to introduce Pin Heatsinks for Horticulture lighting. Pin Heatsinks enabled new lighting designs with less weight and reliable passive cooling. First company to promote splayed Pin heatsinks, SSTX for superior COB cooling. Introduced Citizen COB to help lower cost for horticulture lighting. Started in 2015 and first company to introduce forced Air cooled LED based fixture called Maximizer. This designed offered advantage of significant cutting down the cooling requirements for grow space. 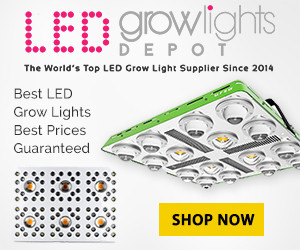 First company to offer high efficiency COB based LED fixtures at retail locations.